Brighton Robe Hook comes complete with mounting brackets designed to add more to your bathroom. 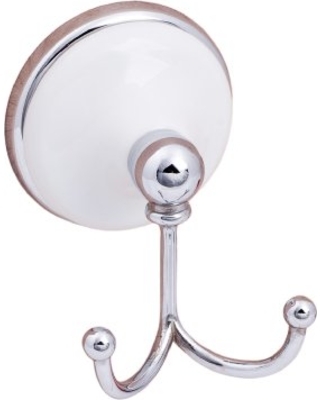 Instead of a regular robe hook, this puts value into your restroom and looks great. Classic modern look to compliment your home decor. Select from our other bathroom accessories below for a complete package of bath accessories. Bathroom accessories can make your bathroom more functional and stylish. This robe hook is available in one finish to compliment your other hardware or Sure-Loc door knobs. Be sure to check out the entire line of Sure-Loc Hardware.